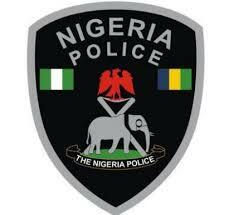 There is obviously a huge mess on the record of professionalism of the Nigerian Police , in fact it is very clear now that the international rating of the Nigerian Police as the worst in the whole world is quite an understatement, If there is any other mal-rating available, it could still be assigned to this group of Islamic killing machines because they have defiled completely all moral, ethical, cultural, political, civic and constitutional dictates for good practice. They are however, scoring high in the aspects of brutality and barbaric killing of the people of Biafra and other Christians in this contraption called Nigeria. I do not wish to digress from the main focus of this article which is purely about the charging to the court of the illegally arrested Jewish worshipers by the Nigerian Police on Monday 14th May 2018. Recall that the Nigerian Police sometime last week attacked a group of Jewish worshipers who were praying in the house of the abducted leader of IPOB Mazi Nnamdi Kanu, these innocent and unarmed Jewish worshipers were brutally handled, both women and children were victims of this evil act of the police. The most troubling aspect of this whole nonsense is that as we were still on the question of why should the police arrest innocent people, the same police went ahead to charge them to a magistrate court in Umuahia for terrorism and possession of explosives. This is quite unbelievable and obviously a height of irresponsibility and foolishness of the Nigerian Police. At this point, a sane mind would like to know the reasons for doing all these and guess what, the police said that the People were seen saying shalom, shalom and again they said that their religion is not known to the Constitution of Nigeria. Is this not really laughable? It is indeed because it is only in Nigeria that you can see this kind of a thing happening. At this point, I will appeal that you joined me to have a quick look at the implications of this very shameful act of the Nigerian Police. The first thing I want to look at is the attack itself. What actually is wrong with some people going to the house of the leader of the Indigenous People of Biafra Mazi Nnamdi Kanu to pray for him, he has been missing since 14th September 2018 when the murderous army of Nigeria invaded his residence, killing over 30 persons and abducting Mazi Nnamdi to an unknown location while every effort made to persuade the army to disclose his whereabouts or even release his corpse if they have killed him, never yields any result. The police said that the people were seen saying shalom shalom and that amounted to the crime, so the people should be molested and arrested and prosecuted. So it means that the Nigerian Police is so daft to not understand that shalom simply means "peace be unto you. But I have been hearing the Muslims always saying "Salam Aleku" to themselves and no one has ever attacked them let alone charging them to court for terrorism. What about the "Allah Alkubr" that the Muslims always shout whenever they are killing innocent people, what have the police done in that regards? Absolutely nothing? The police also said that the Jewish religion is not known to the Nigerian Constitution and as such, they are to arrest anyone practicing that religion but the question here now is this "how many religion have been known to the Nigerian Constitution except Islam which was fraudulently mentioned in the so-called Nigeria Constitution?". Since the religion is not known to the Nigerian Constitution, why did the court of law of the contraption called Nigeria demand that one of the guarantors of Mazi Nnamdi Kanu must be a Jewish religious leader? I will at this point state it unequivocally that these are just concocted excuses designed to deceive the gullible. The truth remains that there is a well-articulated plan to Islamise Nigeria and that is what actually the arch genocidist Muhammadu Buhari has come to accomplish, the jihad has started and the Jihadist army is right in action here now. This is the time for all the international community to stand up now and fight against this evil. The Nigerian government has been skillfully aiding and providing coverage for the Jihadists who have been killing Christians in their hundreds on daily basis. America, Russia, Israel and other lovers of freedom should not continue to sit down and watch innocent Christians being brutally murdered on daily basis. Now is the right time to act.